Allah (SWT) has created the entire world and has given a special status to certain days, places and people. Makka is considered as the holiest of all cities, Ramadan is considered as the best of months and Laylatul Qadr is declared as the greatest night of the year. So, during Ramadan, the reward for every voluntary (Nafl) prayer rises to the level of that of obligatory (Farj) prayers and the reward for every obligatory (Farj) payer rises 70 times of that of normal obligatory prayers and prayers offered at Makka and Medina carry more value and significance than those offered at an ordinary place. Likewise, some months carry more value and significance than other months. Allah (SWT) says: “Verily, the number of months with Allah is twelve months (in a year), so was it ordained by Allah on the day when He created the heavens and the earth; of them four are sacred (Muharram, Rajab, Zulqa’dah and Zulhijjah). That is the right religion, so wrong not yourselves therein.” (Sura Tawbah: Ayat 36). According to this verse, it is cleared that there are four sacred months in the year. These months are called sacred because: 1. Fighting therein is forbidden unless initiated by the enemy, 2. Transgression of the sacred limits therein is worse than at other times. Hence Allah (SWT) has forbidden us to commit sins during these months. He says: “Wrong not yourselves therein.” (Sura Tawbah: Ayat 36). We know, committing sins is haram and forbidden during these months and at other times, in these four months these are strongly forbidden. It is clearly known to us by prophetic narration that Rajab (the seventh month in the Islamic lunar calendar) is one of these sacred months. Abu Bakar (Ra) narrated that the Messenger of Allah (pbuh) said, “The year is twelve months, of which four are sacred: three consecutive months, Dhu’l-Qa’dah, Dhu’l-Hijjah and Muharram, and Rajab which comes between Jumaada and Sha’baan.” (Sahih Bukhari and Muslim). So, we should keep ourselves away form all kinds of sins especially in the sacred months. According to some Hadiths, fasting during the sacred months is Mustahab and Rajab is one of them. The Messenger of Allah (pbuh) said, “Fast during the sacred months and leave (fasting), fast during the sacred months and leave.” (Sunan Abu Dawood). As Rajab is one of sacred months, fasting some days of Rajab is desirable in the opinion of all scholars and it is not an innovation. But fasting on the twenty-seventh of Rajab especially and spending that night in prayers is a bid’ah (innovation), and every bid’ah is going astray. 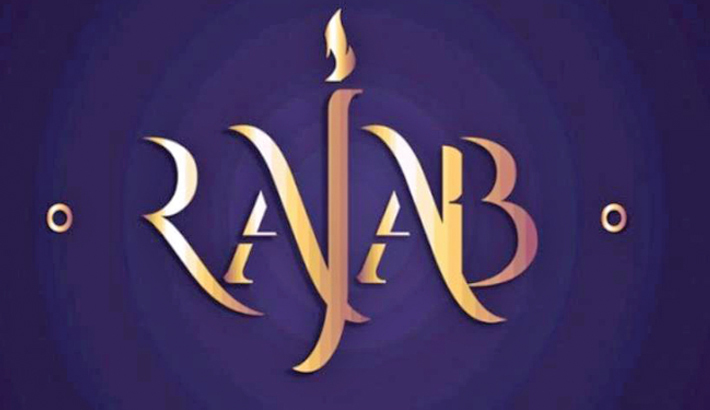 Some of our Muslim brothers and sisters celebrate the night of 27th Rajab as Shab-e-mi’raj. Because they believe that the Mi`raj was occurred on 27th of Rajab. It is not correct. Actually the exact date of Mi’raj is unknown. Our beloved Prophet didn’t tell anything about its date and his companions also didn’t ask him about the matter. Everything that has been narrated concerning a specific date for these events cannot be proven to have come from the Prophet (pbuh), according to the scholars of hadith. So, celebrating 27th night or another night of Rajab as ‘Shab-e-Mi’raj’ is not valid. Even if the date were proven, it would not be permissible because the Prophet (pbuh) and his companions (Ra) did not celebrate it and they did not single it out in any way. The writer is a national award winner Qari and Khatib of Baitush Shafiq Mosque (near National University), Gazipur.